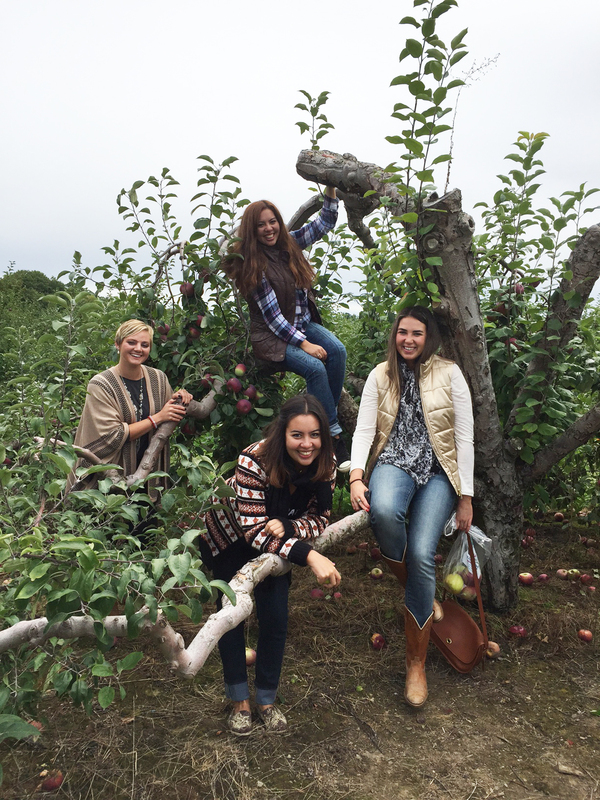 One of our favorite fall activities is apple picking! To celebrate our friend’s birthday a group of us went out to brunch and after went to the orchard to pick some apples. Autumn is in full swing and to us nothing is more representative of the season than going apple picking. So last weekend we went to both Kelder’s Farm in Kerhonkson, NY and Dubois Farm in Highland, NY. We left the city bright and early and met our family at the train station before we headed straight to Bagel World. They roll fresh bagels all day and you can see all the action happening in the kitchen. I had cinnamon raisin, but Cailin who’s on a spicy kick choose this orange Jalapeño bagel! After breakfast we took the drive towards our first orchard while we looked at all the beautiful fall leaves. We had never been to Kelder’s Farms, but one of the reasons we wanted to check it out was because it is home to the record holding world’s largest garden gnome. We ended up only staying at this farm for 30 min. since they only had one variety of apple left, but we made sure to take some photos with the giant gnome! We then headed to Dubois Farm, which had a better selection of different apples. 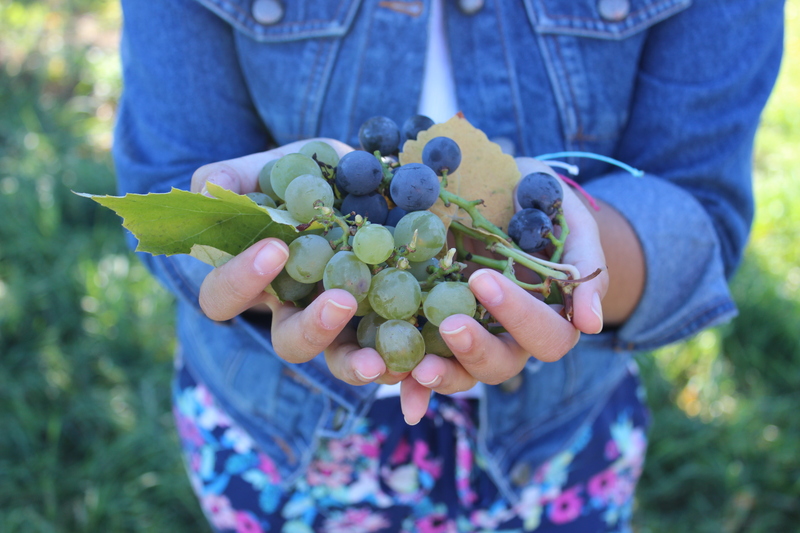 We’ve been to this orchard before and love it because they also have U-pick for grapes, tomatoes, pears, eggplants and apples. They also always have a lot of pumpkins to chose from, cider donut eating contests, lots of food options from the grill and apple cider. Now we can check off apple picking from our fall to-do list!